Ourselves and local NHS partners are encouraging residents to work out their Heart Age using Public Health England's free online tool. The Heart Age Test provides an immediate estimation of their ‘heart age’. If someone’s heart age is higher than their actual age, they are at an increased risk of having a heart attack or stroke. Cardiovascular disease - with stroke and heart attack being the most common examples, is a leading cause of death for adults in Stockport. To calculate your heart age more accurately you will need to know what your blood pressure is. 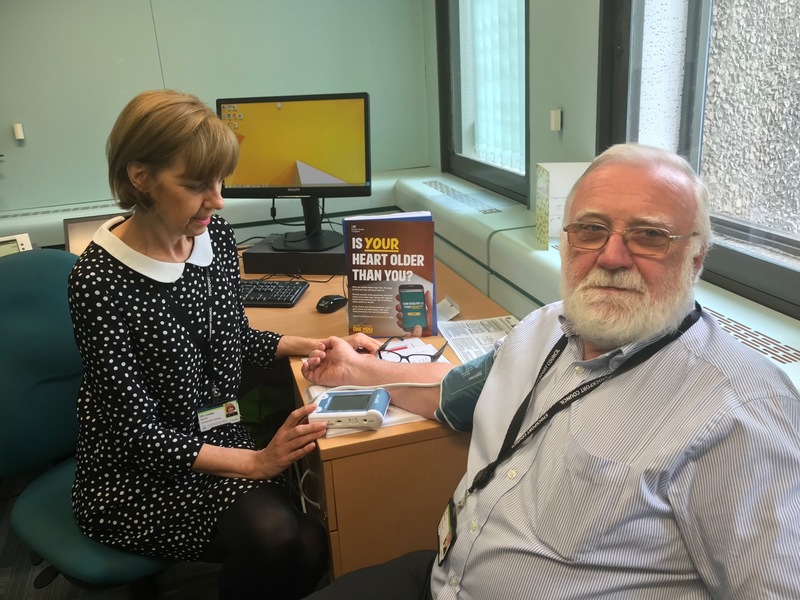 As part of the Heart Age campaign and during Blood Pressure UK’s “Know your numbers week” (10th-16th September) many pharmacies are offering free blood pressure checks. High blood pressure is called the silent killer because it has no symptoms. Therefore, the only way to know if you are at risk from a stroke or heart disease is to have a blood pressure check. •	You can find your nearest free blood pressure check by entering your postcode at Blood Pressure UK Website.